March 21st, 2017. 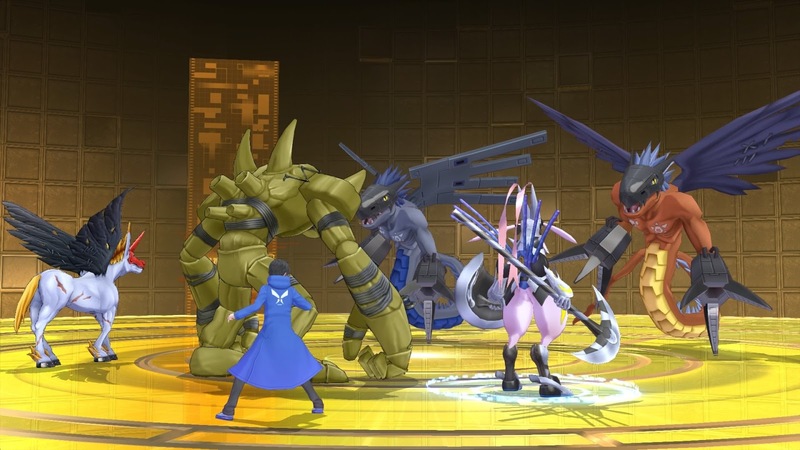 Bandai Namco of Europe tweeted this morning announcing that Digimon Story Cyber Sleuth Hacker's Memory will be coming to Europe in early 2018. The European version of the game will not be dubbed, featuring Japanese voices with English subtitles; however, it will also feature German subtitles. 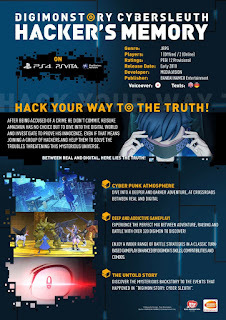 The game will be coming to the PlayStation Vita digitally, and both physical and digital versions will be put out for the PlayStation 4. While the lack of an English dub will doubtless disappointment some fans, the expansion into other European languages for subtitling is a welcome addition after Sleuth. 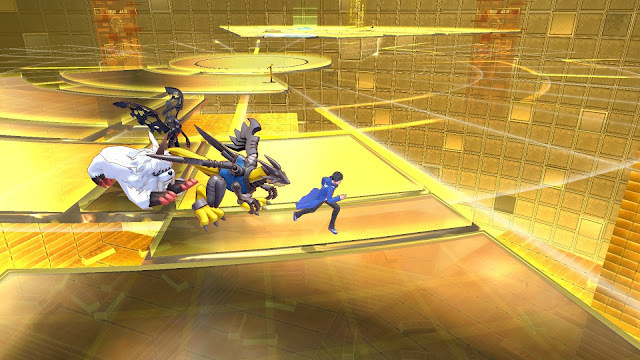 More concerning is that while Hacker's Memory is confirmed to contain Cyber Sleuth in Japan, Bandai EU stated has stated that the European release only includes the new game. 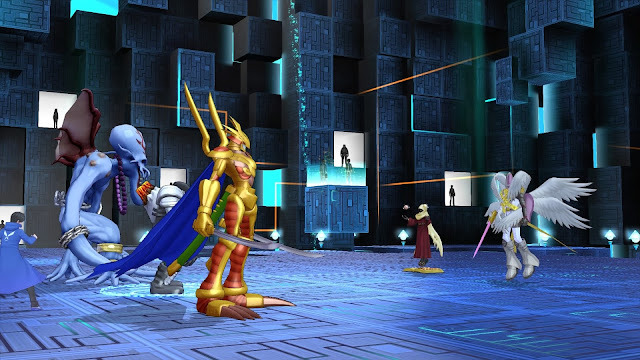 One of the selling points of the Hacker's Memory package in Japanese waters is being able to play through the original game with the 73 additional Digimon that were not available in the 2015 release. More positively, Bandai has stated that this is "the final final FINAL confirmation" of a Vita release, in reference to last year's -next 0rder- debacle in which the company mistakenly told the press that Digimon World -next 0rder-'s international release would be physical and digital on both PlayStation 4 with no Vita release, then rescinded their statement to say the game would also have a digital release on Vita, and then rescinded their additional statement to announce that the game would be a PS4 exclusive. Hacker's Memory will come to the PlayStation 4 and Vita in Japan in 2017, and in Europe in early 2018. 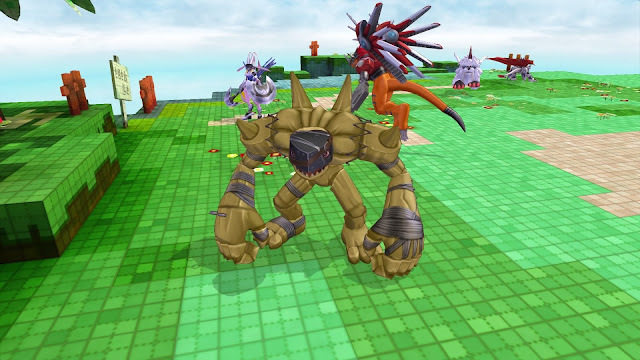 No North American release has been confirmed at this time, though recent American and European Digimon releases have been within a week of one another. Japanese Audio is a good thing actually. 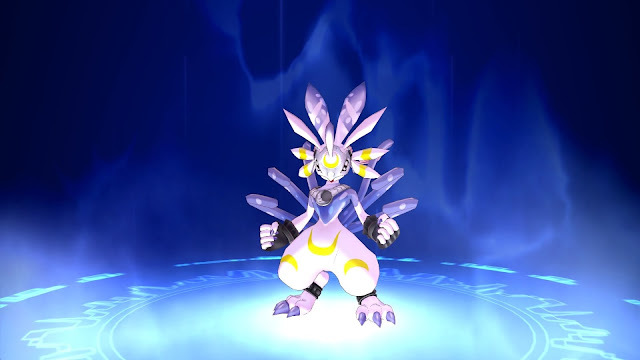 Rina's English VA is f@** annoying xD I'm personally bothered by the fact that apparently, it is only going to arrive in Europe in both English and German subtitles, I mean Next Order International Edition came in Spanish, English, French, German and Italian...why don't keep at least this 5 languages, considering that NØ is selling more than good overseas? I presume it's an issue of text quantity and subtitling. The Sleuth series has many more NPCs, dialogue, and cinematics to translate than -next 0rder-, which is fairly empty. Any new translations of the video scenes have to have their text not just translated, but also broken up and re-timed to accommodate the target language. 50 hour maingame vs a 16 hour maingame. We don't know that -next 0rder- has actually sold particularly well. It doesn't even show up on NPD's charts for February. That site is well-known for literally making up figures at their convenience. I wouldn't trust it.